When you think of custom steelwork, what do you imagine? Do you picture impeccable design, durability, and functionality? If not, you need to take a closer look at all you can achieve with Pro Weld’s work! When we say our steelwork is custom, we mean it. Although the process typically begins the same for all projects, each and every piece is custom made. First, the desired metal type is cut, then it is formed, and then it is forged to the original piece (or forged into an original piece). In its most simple form, custom steelwork can be used to aid in structural support. Since steel is so strong, it is often used as supportive beams for heavy platforms or other structures. It is also the perfect solution for any framework needs you may have. Steel makes for a sturdy foundation for any project. The greatest part of custom steelwork is that it is indeed, custom! You are able to create pieces to finish any project or piece together a final product. With the help of computer-aided design (CAD), we can help create the perfect size piece for your project. This is extremely useful in commercial and industrial projects. If you are looking to add a statement piece, or an eye-catching element to your home or business, look no further than here. Not only are the custom pieces made from steelwork beautiful, but they’re durable as well. Choosing metal as the material for your railing adds a vintage feel, while keeping an area safe. Steel is strong, and won’t break if someone leans on it. Since the material is so durable, it makes for an excellent choice for custom furniture as well. 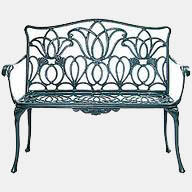 Custom steelwork can be used to make beautiful benches or light fixtures. While many people use their custom benches for more of an aesthetically pleasing attribute, rather than for seating, you can easily do both. Simply by adding a few cushions or pillows to the bench, you can make it the perfect seating area for entertaining. Custom steelwork is an art in itself, but it can also be used to create actual art pieces. Many clients have requests for wall decorations or other kinds of statement pieces. If you have any sort of project you’re working on, or plan to work on, you should consider custom metal work. Custom steelwork will add durability to your most simple projects, and will add beauty to any large pieces.